While there's promise in films like "Late Night" and "The Report," once again it's the doc lineup that has the strongest contenders. When Sundance Film Festival programmers assembled the most diverse selection of features and documentaries in their history, they weren’t thinking about big buys or awards appeal. Nevertheless, a range of online and theatrical buyers plunked down unprecedented millions for a raft of cross-cultural movies with global playability. Mainstream crowdpleasers “Blinded By the Light” and “Brittany Runs a Marathon” (which won the dramatic audience award) aren’t necessarily heading for awards consideration — until and unless they score rave reviews and boffo box office. Both New Line and Amazon will go for maximum summer play to make their money back, and then see where they are. While “Manchester By the Sea,” “The Big Sick,” “Call Me By Your Name,” “Whiplash,” and “Get Out” are among the narrative Sundance breakouts that went all the way to the Oscars, in recent years it’s documentaries that tend to go the Oscar distance. The 2018 crop yielded four out of five 2019 Oscar nominees: $14 million-grossing Ruth Bader Ginsburg doc “RBG” (CNN/Magnolia), Sundance breakthrough filmmaker prize-winner Bing Liu’s “Minding the Gap” (Hulu), which follows three young skateboarders in the Rust Belt, photographer RaMell Ross’ languorous poetic portrait of a time and place, “Hale County: This Morning, This Evening” (Cinema Guild) and Talal Derki’s Sundance World Documentary Grand Jury Prize-winner “Of Fathers and Sons” (Kino Lorber). Check out this year’s Oscar possibilities. New Amazon Studios chief Jennifer Salke plunked down $14 million for writer-turned-director Scott Z. Burns’ post-9/11 political thriller “The Report,” which is a feat of dramatic writing for smart audiences that imparts reams of info about CIA interrogation techniques, along the lines of post-Watergate journalism drama “All the President’s Men,” which won four Oscars. The fact-based “The Report” reveals harrowing torture practices (and criticizes “Zero Dark Thirty”) as it makes heroes out of dogged investigator Dan Jones — played by “BlacKkKlansman” first-time Oscar-nominee Adam Driver — and his boss, Senator Dianne Feinstein, who is nailed by Annette Bening. (After four nominations, the respected Hollywood insider is long overdue.) At the Eccles Q&A, Bening charmingly mentioned having met her Senator many times with her husband, Warren Beatty. Produced by Oscar-winner Steven Soderbergh (“Traffic”), who has collaborated with Burns as a screenwriter (“Contagion”), this well-reviewed Washington, D.C. procedural (Tomatometer: 95 percent), co-starring Jon Hamm and Maura Tierney, will hold for rebranding in the fall as an awards contender. Oscar Potential: Picture, Actor, Supporting Actress, Original Screenplay. 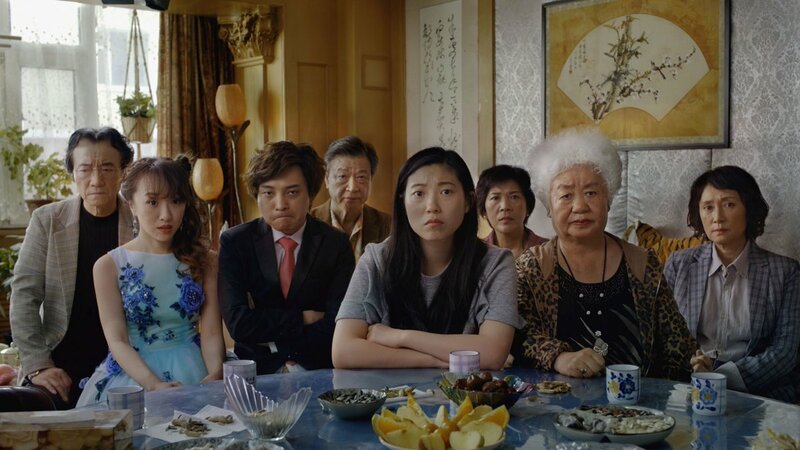 Acquired for $6 million for the world (outside China), sophomore American filmmaker Lulu Wang’s poignant true-story family comedy, shot in English and Mandarin and showcasing the acting chops of “Crazy Rich Asians” star Awkwafina, will test the ceiling in the North American market for a foreign-language movie (American movies are not eligible for the foreign-language Oscar). While the movie was the best-reviewed (Tomatometer: 100 percent) breakout at Sundance, visibility will be key to this movie’s Oscar chances. Oscar potential: Picture, Director, Actress, Original Screenplay. Like Kumail Nanjiani and Emily V. Gordon’s 2017 Oscar-nominated “The Big Sick,” “Late Night” also deals with how cultures collide, this time in the New York talk-show universe. Directed by TV veteran Nisha Ganatra, the movie centers on writer and star Mindy Kaling as the diversity hire for an all-male writers room for a woman talk-show host, played with such brio by Oscar-winner Emma Thompson (“Howard’s End”) that a Supporting nomination should be in the bag, assuming the movie (Tomatometer: 86 percent) is a huge hit. Oscar potential: Supporting Actress, Original Screenplay. Based on J.C. Lee’s play, Julius Onah’s coming-of-age thriller is a provocative (and often disturbing) dissection of a well-intentioned suburban couple (Naomi Watts and Tim Roth) whose adopted African-born overachieving teenager (breakout Kelvin Harrison, Jr.) runs into conflicts with his teacher (Octavia Spencer) that spiral out of control. Oscar-winner Spencer (“The Help”) is a strong Supporting Actress candidate for her layered performance as a strong, demanding teacher with family secrets. Harrison, who played Kristen Stewart’s boyfriend in “Jeremiah Terminator LeRoy” as well as roles in “The Birth of a Nation,” “It Comes at Night,” and “Monster,” gives a searing, insightful performance in a challenging role as a wily young African raised in entitled America who experiences identity conflicts as he tries to reckon with the inflated expectations of his parents, peers and teachers. Depending on how far the well-reviewed movie (Tomatometer: 88 percent) goes in theatrical release, Harrison could score rising-star attention from the Gothams and Indie Spirits. 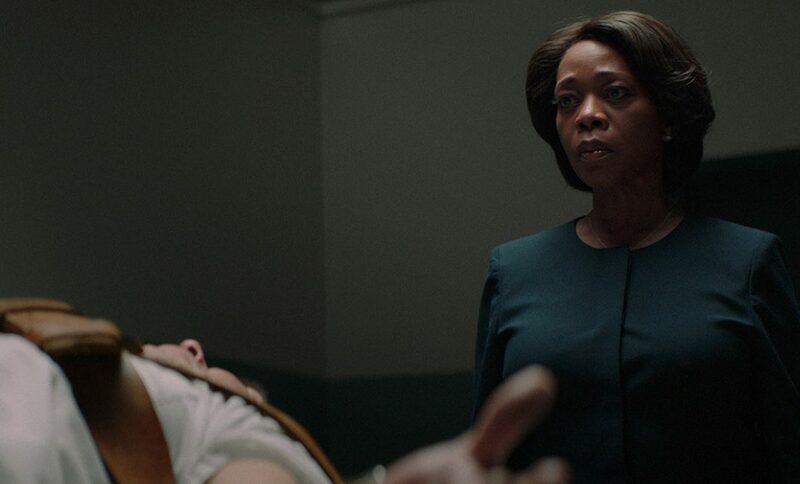 Depending on who takes on writer-director Chinonye Chukwu’s prison drama, which is not an easy sell, Alfre Woodard is a strong contender for Best Actress as a prison warden under duress from executing too many prisoners. This kind of hard-hitting social-action drama has a long history with the Academy: think Oscar-winner “Dead Man Walking,” which earned a Best Actor nomination for Sean Penn and a Best Actress win for Susan Sarandon. Woodard hasn’t been nominated since her breakout role in “Cross Creek” in 1983. Update: the movie won the U.S. Dramatic Competition Grand Jury Prize. Oscar potential: Best Foreign Language Feature, Best Score (Mica Levi). As usual, more documentaries could wind up in the awards mix than narrative features, as buyers chased them with fervor following last year’s box-office bonanza. Many will wind up gaining distribution after the festival, which will determine the ultimate fate of Sundance discoveries such as “Pahokee” and “Cold Case: Hammarskjold,” which won the World Documentary directing prize for Mads Brugger. Launched at TIFF, John Chester’s engaging story of a big-city couple tackling an organic farm will be an awards player. Alex Holmes directed this moving all-women racing saga that debuted at TIFF. Apple will throw all its marketing and distribution resources at its first buy out of TIFF, a moving portrait of a charismatic elephant matriarch trying to save her family. With journalist/filmmaker Cameron Crowe doing the deep-dive interviews, A.J. Eaton’s portrait of the classic “Crosby, Stills and Nash” rocker played like gangbusters. 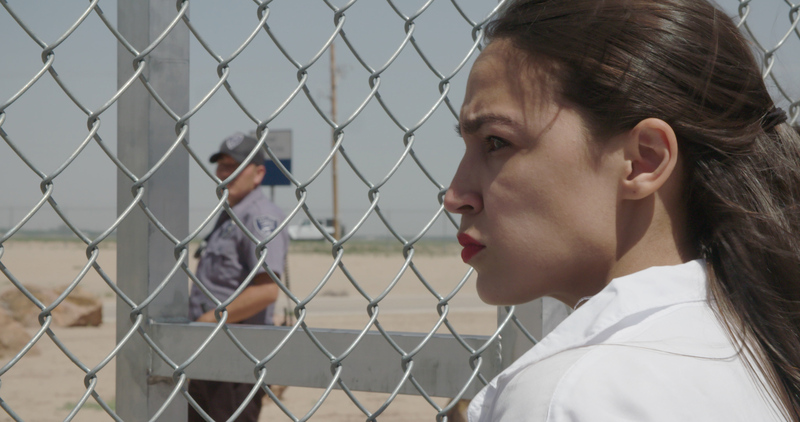 Newbie New York Congresswoman Alexandria Ocasio-Cortez is one of four politicians portrayed in Rachel Lears’ high-profile documentary, which scored a Netflix buy. Update: It also took home the U.S. Documentary Audience Award. Respected documentarian Petra Costa’s look at the frightening state of the Brazilian government was the talk of the festival. Nanfu Wang and Jialing Zhang’s brutal expose of the ongoing impact of China’s One Child Policy, a tough population control measure that ended in 2015, was scooped up by Amazon after it won the Grand Jury Prize for U.S. Documentary.